I might not be the most beauty/fashion conscious person but I do like to keep up with the trends, I read quite a lot online and of course all the fashion magazines. 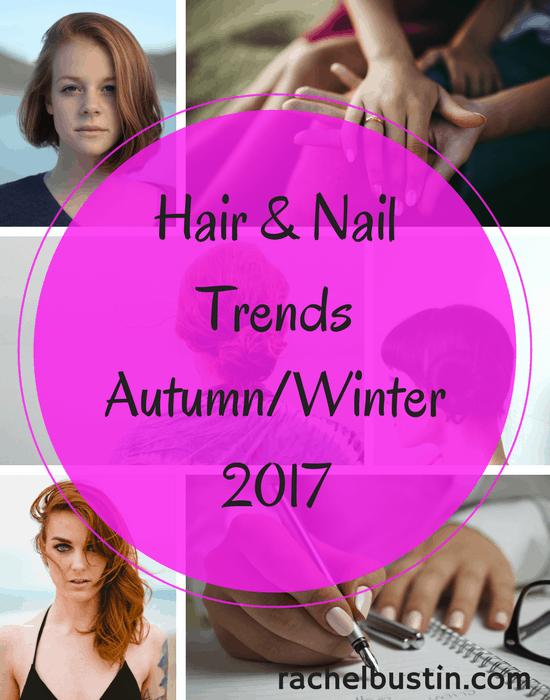 So this year I have decided to write a post on the hair and nail trends for Autumn/Winter 2017. Many of you loved my Summer Checklist earlier in the year, and so here I am with what is predicted for hair and nails this season. It’s predicted that this Winter it’s all going to be about the side parting. In fact it’s been labelled by Vogue as a runway favourite. I’ve always been a fan of the side parting, I have worn my hair with a side parting in the past but naturally I have a centre parting. The side parting is easy to create and of course wearable for any occasion. 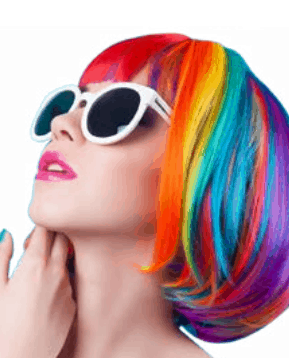 Statement hair – bold, bright, fluorescent-inspired hair. Think neon pink and vivid yellow. Only for the brave! This Autumn/Winter the up-do is on point. Intricate plaits and braids to messy buns, perfect for night and day. I’m a fan of messy buns, as a busy mum it’s all I have time for at the moment, so glad I will be on trend this Winter! Stand out from the crowd with these awesome nails. Classic print, but giving a statement look. If you are a professional nail technician why not check out Ellisons for the stencils or stamping plates to complete this perfect look. Perfect for the festive season, gold hued nails will be sure to get you noticed. Christmas parties are the perfect excuse for gold glittery nails or you could go for the classic metallic shades to keep on trend. All shade of neutrals are set to be big this season. From soft pinks and greys to cool khaki shades. Ideal for everyday wear. What are your favourite hair and nail trends for the Autumn/Winter season? I think the up-do has stayed through to the Summer too! It’s so hot I don’t think I’ve had my hair down in weeks!